Three years ago I got into downhill skiing and found myself more in love with the sport than I could have imagined. So much fun that at the end of the season I decided to take advantage of the screaming deals that ski shops have and picked up a pair of Volkl skis. My first set of skis was a fairly cheap pair, I think they were S3’s or something like that. But even at the low end these skis were better than the rentals that I’d been on up to that point. However, on the very last day of the 2006 season I got back to my hotel room and noticed that they started to delaminate. So I took them back to the great guys at Santa Rosa Ski and Sport and they kindly sent them back to Volkl for me. A few days later, to my relief, I was informed that Volkl would warranty the skis for me. Not only would I be getting new skis, the shop gave me the option to upgrade to some better skis along the way. I took them up on the offer and decided to go all out and get one of their better skis, the AC3’s. 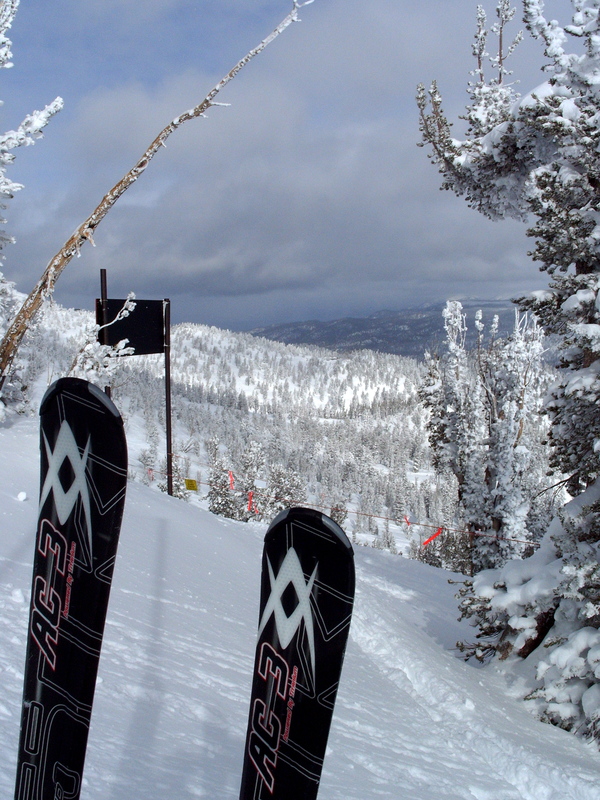 It was the summer of 2006 and I couldn’t wait for the snow to hit so I could give my new skis a go. Opening day… loved em. Between the winter of 2006 and the spring of 2008 I skied on them a fair amount and loved every turn, even the ones that sent me to the ground. The AC3’s were responsive, fast and handled everything including groomers, trees, powder, ice and bumps quite well (deep powder being the weakest of the bunch). So with great sadness at the end of the 2008 season I noticed another fatal flaw with my skis. The AC3’s were a wood core ski with titanium reinforcements. This made for a fantastic ride but oddly the titanium didn’t extend all the way to the tips of the ski. Instead it ended about 3/4″ of in inch from the tip and caused the base layer to crack right where it stopped. It ended up cracking so badly that I could actually see the titanium inside the ski. All the P-TEX in the world wasn’t going to fix this problem. I’m somewhat of an aggressive skier but this type of failure seemed like more of a design flaw than a user flaw. So a few weeks ago I decided that I’d try sending them into Volkl and see what they had to say. It was a bit of a long shot because the skis were now out of warranty but I didn’t have much to lose. Today I got a call back from my local ski shop and I was informed that Volkl decided to warranty the skis anyway! Not only am I getting a new set of skis, I’m getting upgraded to the AC30’s as well! I couldn’t be a happier skier right now. Okay, I take that back, I’d be happier if was driving to Tahoe right now and the resorts were open. But it warms my heart a little to see a company back their products this well.